PLEXIGLAS SOUNDSTOP® NT – non-transparent unreinforced cast acrylic sheets, molded-in color. Apart from use as fillings for noise abatement walls, these are also an ideal solution for the already commonly used anti-glare barriers thanks to their matte surface which does not have reflective properties. 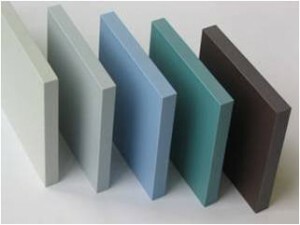 PLEXIGLAS SOUNDSTOP® NT sheets are available in a wide range of colors. Thanks to their structure, they do not fade, retaining the deep color for a long time.